This patient waited many years before finally coming to The London Smile Clinic to replace his old crowns and improve his smile. 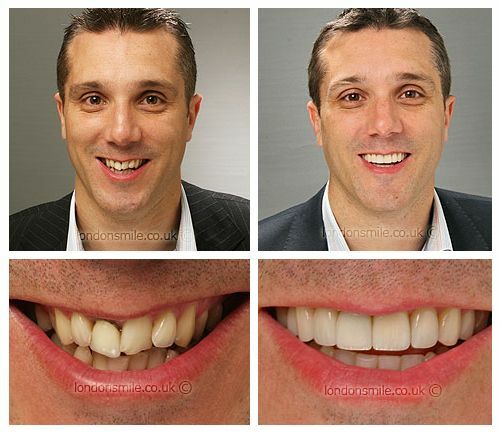 His makeover included the Inman aligner treatment as well as new crowns and veneers to give an amazing final result he is proud of. At the age of 11 I broke one of my front teeth, this was crowned but had deteriorated over the years. I always promised myself I would get my teeth repaired when I was in a position to do so. Inman aligners, new crowns and veneers. I have never been a good patient and was apprehensive about the work. I can honestly say I have experienced little pain throughout the whole process. Tim and Heidi have taken great care of me. Looking back at how my teeth looked and the condition they were in, the final result has exceeded my expectations. Yes absolutely. My friends and family have all been very curious during my treatment. I now have the ability to smile without being embarrassed it has lifted my confidence and has allowed me to smile in photos without worrying. 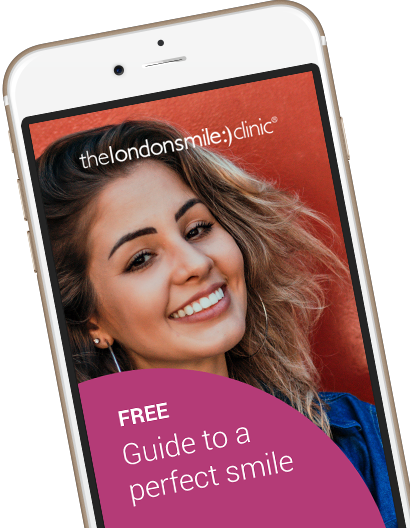 Everyone at The London Smile Clinic has made me feel welcome and a valued customer.